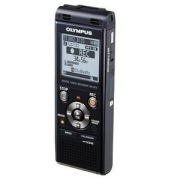 Our most popular digital audio recorder is the Olympus Digital Recorder. The TAK kit is designed for tactical situations including hostage taking, barricaded subjects, bomb squads and terrorism. The SAK (non-invasive) audio recovery kit has everything you require to quickly deploy a through-the-wall listening system. The system is tuned perfectly for maximum voice intelligibility and stereo imaging. ACT offers a full range of microphones for use in many applications. Picks up both sides of telephone conversation. Works with analog or digital cell phones.